For reasons not entirely clear, every three years, representatives of all the Jackdaws in Britain gather on Midusmmers eve in the tiny English village of Summerbrooke, to select the Prince of Jackdaws. For reasons unknown to all but themselves, they always select a seven year old human child from the village, who will then be the Prince (or Princess) for three years. Even former Princes have no idea exactly why they choose a human child, why they always gather in the shadow of the Church of St Daws to do it, or how they go about the selection process. They almost always choose a child with black or at least dark hair, although there have been some exceptions, and they all always attend St. Daw’s Primary School. As Prince, the child is given responsibility for making decisions for all the of the Jackdaws in the Country, although they don’t actually speak as such, but more seem to decide upon the Princes choice without actually asking him or her. 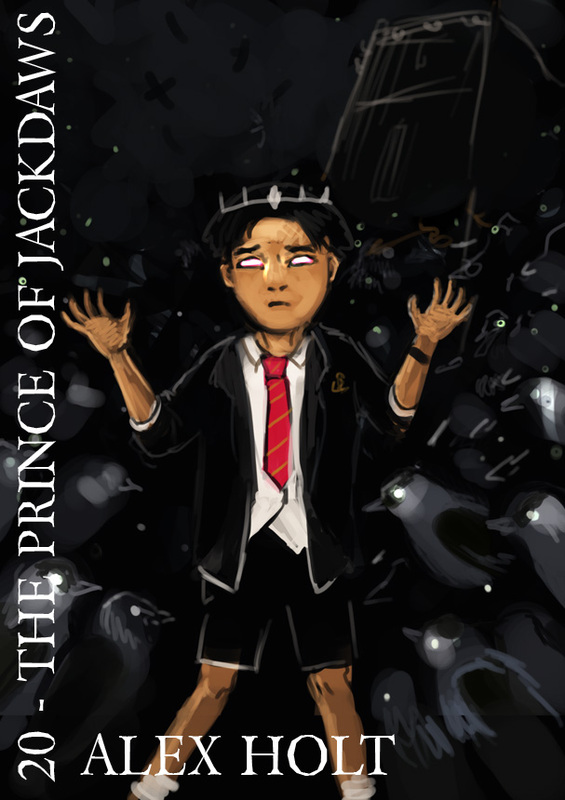 The Prince gains a few magical powers for the duration of holding the title, he is able to command Jackdaws to do things (although not to understand them) and teleport via Shadows. The whole setup is rather bizzarre, but worthwhile, almost all former Princes go on to be successful in life, with at least one being Prime Minister – and whatsmore, they retain an uncanny nack for finding lost valuables. The current Prince is Rupert Chan, whose parents actually moved to the village from Birmingham specifically to give him a chance of becoming the Prince. Despite the popularity of this idea amoung many people, fortunatly the landowner is a fairly old fashioned sort and refuses to give permission for extra houses to be built to accomodate pushy parents “incase it breaks the magic”.